Did You Just Eat a Plastic Bag? Many of us limit our intake of tuna and swordfish due to high mercury levels in those fish, but research is just beginning to show that we are consuming many other chemicals through our seafood, and our disposable plastic waste may be a potent source of this contamination. 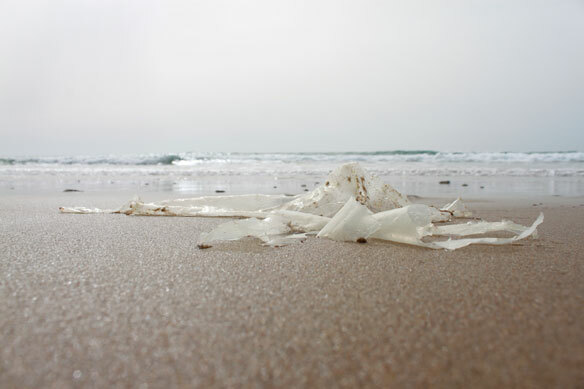 This article will take you on a possible journey from your plastic bag, to the ocean, and back to your dinner plate with a fish that may have fed on a plastic bag. Has our quest for convenience with throw away plastics led to contaminated fish?